Like a ray of morning sunshine, these twelve bursting beauties will arrive to your recipient's doorstep making a bold and beautiful statement! 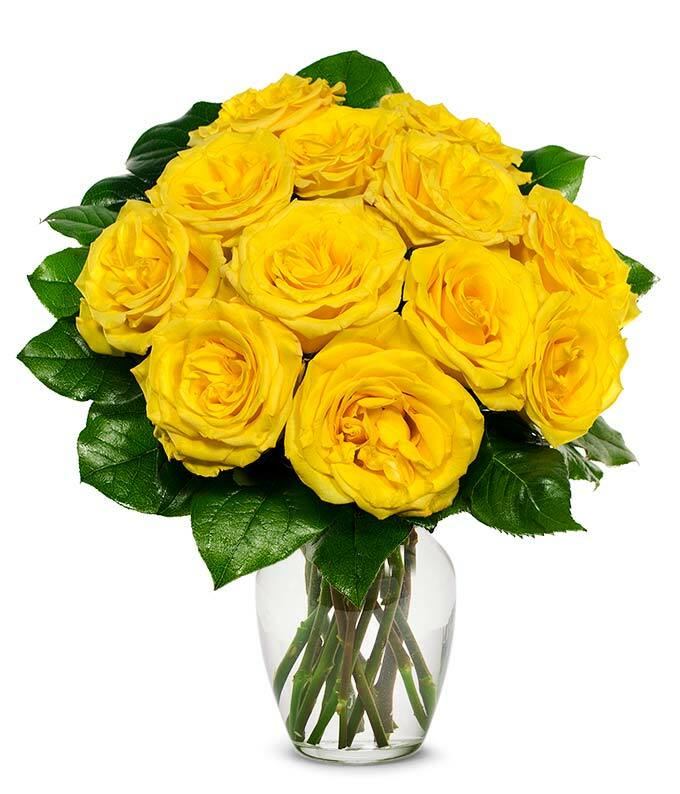 Yellow roses famously symbolize joy, friendship and delight. Make a friend's, family member's or lover's day by sending them a fresh dozen yellow roses. Smiles guaranteed!